Some mainline medical centers and researchers from all over the globe are suggesting that pomegranate juice may be a safe and effective answer to reversing the #1 cause of death in the industrialized world: heart disease. I’m pretty sure that most will still resort to drugs (the big pharma solution) or surgical intervention, but in the meantime, as an old surgical heart nurse that’s seen too much, I will rely on safer, more natural means to achieve that end. I think this is the best of DIY because it requires no surgery, drugs or hospitalization!! Near the end under “Take Action”, I have listed a few brands to look into. 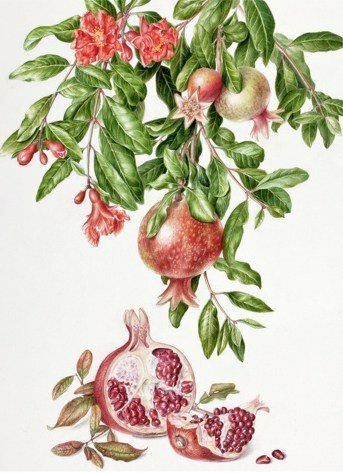 What I read as I pulled together last week’s post on pomegranates is pretty amazing stuff! 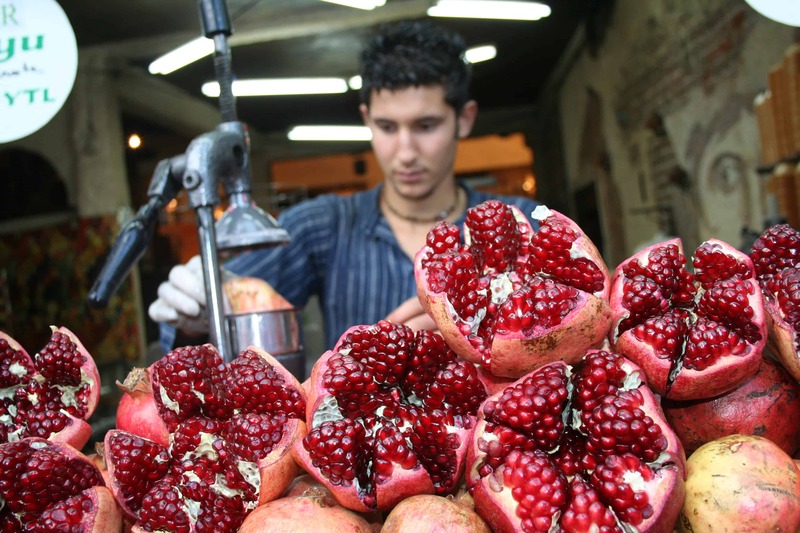 Making pomegranate juice at a vendor stall in Turkey. The ‘superfruit’ pomegranate (technically a berry) has a remarkable astringency, giving your mouth and gums that dry, puckery-mouth feeling. This cleansing sensation is technically caused, as with all astringents, by shrinking and disinfecting your mucous membranes. 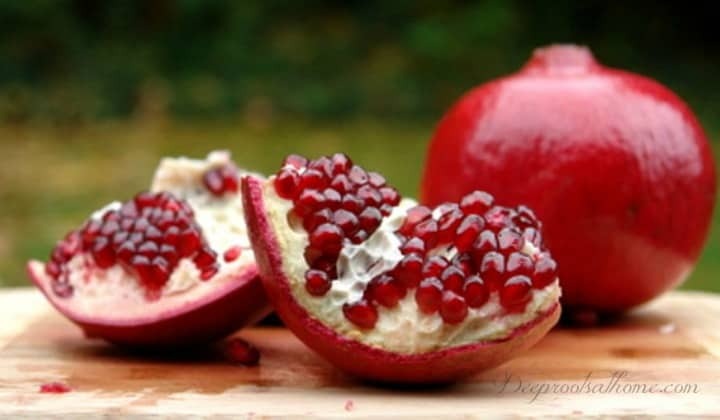 A compound found only in pomegranates called punicalagin is shown to benefit the heart and blood vessels. Punicalagin is the major component responsible for pomegranate’s antioxidant and health benefits. It not only lowers cholesterol, but also lowers blood pressure and increases the speed at which heart blockage (atherosclerosis) melts away. Recent medical research studied heart patients with severe carotid artery blockages. They were given one ounce of pomegranate juice each day for a year. Not only did study participants’ blood pressure lower by over 12 percent, but there was also a 30 percent REVERSAL in atherosclerotic plaque (heart blockage). Just as astounding, participants who did not take the pomegranate juice saw their atherosclerotic plaque increase by 9 percent. To an old heart surgery nurse, this is real news. But I can guarantee we will not hear much about it! Not only are pomegranates good for your heart and blood vessels but they have been shown to inhibit breast cancer, prostate cancer, colon cancer, leukemia and to prevent vascular changes that promote tumor growth in lab animals. Several in vitro studies have shown this remarkable anti-cancer effect. J Med Food. 2005 Winter;8(4):469-75. Clin Cancer Res. 2006 Jul 1;12(13):4018-26. Proc Natl Acad Sci U S A. 2005 Mar 29;102(13):4896-901. Rev Urol. 2008 Spring; 10(2): 168–169. Int J Impot Res. 2007 Nov-Dec;19(6):564-7. Nineteen patients from the Vascular Surgery Clinic in Haifa, Israel, were selected to participate in this three-year trial. All were non-smokers between the ages of 65 and 75, with asymptomatic severe carotid artery narrowing (stenosis) ranging from 70% to 90%. In other words, their arteries were so occluded by plaque buildup that only 10-30% of the original artery volume was available to permit blood flow. Ten of the 19 patients consumed 50 mL (1.7 ounces) of pomegranate juice daily, while the other nine received a placebo beverage. If you do decide to drink pomegranate juice for medicinal purposes, make sure it contains no added sugar or flavors and is preferably organic. Heart blockages don’t form overnight, and as this thorough 3-year study showed, it took at least one year to show a 30% reversal. The most interesting thing is that the control group that did not consume pomegranate juice, common carotid intima-media thickness (IMT) increased by 9% during 1 year. For more medical studies and research papers, see here. You can take this as juice, a capsule or I found an organic, cold-pressed, freeze-dried nothing-else-added powder. I think juice in glass is best, then the powdered. Look for it at health food stores. I almost hesitate to share all the really good things we can do for our health and well-being lest we begin to place all our hope on ‘things’ and they become our hope. Our only true hope is in the Lord God Who created us. « The Santa Question: What Do You Tell Your Children? Hi there! Stopping by to say that I’ve seen several murmerations of birds this fall and thought of you each time. 🙂 Hope you are doing well. Wishing you and your family a joyous season. Thanks so much for this informative post. I haven’t visited your blog much lately but something led me to it today and I believe it was a God thing. The reason is because there is a lot of heart problems in my family. My dad passed away from it, my mom has A-fib, one of my brothers has had stints put in, and my sister and I have murmurs. I love pomegranates and now I surely have a reason to eat them and to drink the juice. Thank you Jacqueline, for taking the time to research for us and to give us all the facts. You are definitely a blessing to me. God bless you and your family and have a very Merry Christmas!